The streets of historic Huntsville will take on a new perspective during November, when the Sam Houston State University Student Art Association and SHSU art department hosts the second annual Art Walk. Through the project, which will be ongoing from Nov. 11-17, students will fill the streets full of art submissions from students and faculty, coloring the sidewalks and alleyways with paint, creativity and artistic thought. The art walk will take place at HCC Vineyard, at 1215 Sam Houston Ave. The interior space of HCC will house the 2-D and 3-D artwork and the five front-window space installations. The northwest side of the building has an alley where a collaborative student mural painting was completed during last years art walk, Dehoyos said. A public reception will be on Nov. 16 from 7-10 p.m., during which numerous live performance art and projections will be in place in the space between HCC and the Ledbelly Building, including a piece in a repurposed elevator shaft car. This is the second time the art department has organized this event, and the first year that the submission and selection process has been open to students who may not be art majors. Dehoyos said that, in her mind, the Art Walk is much more than just an art exhibit. The project also is about encouraging outreach and growth of the art department at the university and also promoting creativity in the city, according to Dehoyos. “The Student Art Association has taught me so much in exploring opportunities to create art and the different ways to look at art and how to engage in the community,” Dehoyos said. “I am so proud of this organization and where it has come from over the years. Yates said he hopes the experience of the art walk is a creative, collective and reflective experience for everyone involved, whether artist or viewer. 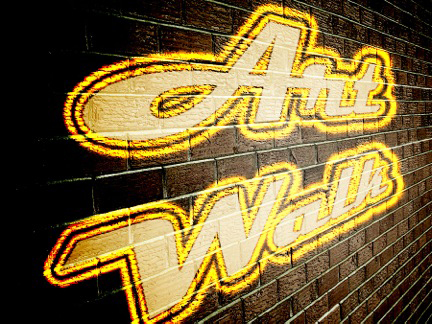 More information about the Art Walk may be found on their Facebook page, at facebook.com/pages/SHSU-SAA/172610566087126.